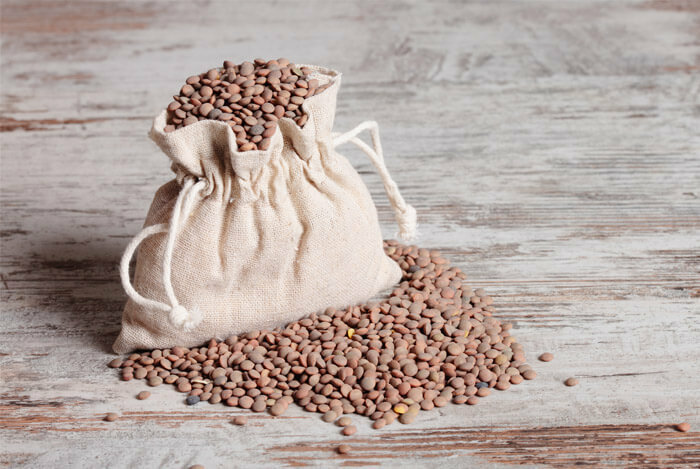 One of my favorite legumes are lentils – they’re quick and easy to make and extremely versatile. They’ve also got a bad rap as being bland, boring and, well, a little bit pointless. But I’ve got ten delicious lentil recipes here, so see for yourself. 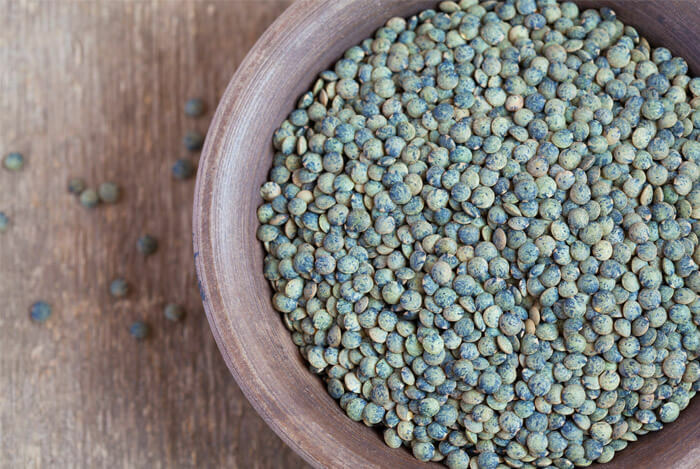 Before we get to all the delicious ways you can use lentils, let’s take a look at their nutritional profile. So, without any further ado, let’s get right down to the tasty lentil recipes. These wholesome pockets from The Kitchn are delicious. I’ll admit, they do require a little work but it’s worth it. You can also double the recipe and freeze them before baking so you always have a healthy lentil dish on hand. Sweet potatoes are loaded with vitamin A – one medium potato contains 438% of your RDV. Make sure to check out my post on all the nutritional benefits of sweet potato. Kale’s another important food to eat regularly. Combine warm water and yeast and sit until the yeast dissolves. Combine the two flours, salt, 2 tablespoons of olive oil and the yeast mixture and mix until dough forms. Knead until smooth. Grease large bowl with the remaining olive oil, place the dough in the bowl and cover for 1 to 2 hours, or until doubled in size. Preheat oven to 400F. Prick the sweet potatoes with a fork and bake for 45 to 60 minutes, until cooked. Allow to cool. Sauté diced onion and garlic until translucent then add the cumin, cinnamon, and allspice and cook until fragrant, about 1 minute. Add lentils and water and bring to a boil over high heat, then lower and simmer uncovered for 10 minutes. Add kale and salt to the lentils. Cover and simmer for 5 to 10 minutes until lentils are soft. Drain and transfer the lentil and kale mixture to a bowl. Meanwhile, warm 1 tablespoon of oil in a heavy skillet over low heat. Add sliced onion and cook, until caramelized, about 20 to 25 minutes. Increase oven heat to 450F. Peel and mash sweet potatoes. Divide dough into 6 pieces and roll each into a 9-inch oval shape. Spread each with 1/4 cup mashed sweet potato over the bottom half of the dough and cover with 1/3 cup of the lentils and kale, and some caramelized onions. Fold top half of the dough over, and pinch and fold edges to seal securely. Place pockets on baking tray, brush with oil and add 3 small slits to let steam escape as it bakes. Bake for 25 to 30 minutes, or until browned. When I came across this recipe from My New Roots, I just had to try it. It’s absolutely packed with flavor, a far cry from the mushy, salt-filled veggie burgers I’ve had before. Add in garlic, known for helping the heart, brain and skin; and kalamata olives, rich in monounsaturated fat (a ‘good’ fat) and you’ve got a winning combination in terms of taste and nutrition. Add lentils and 2 cups of water to a saucepan, bring to a boil, cover, reduce to simmer and cook until tender. Drain if necessary. In a pan heat coconut oil, add sliced onions and a pinch of salt. Cook until softened, then add garlic, rosemary and thyme. Cook for a few minutes, then add sliced mushrooms. After five minutes, stir mushrooms and stir in tamari. Once cooked, remove from heat and set aside. Process sunflower seeds to consistency of breadcrumbs. Add cooked lentils, mushroom mixture, mustard, olive oil, and black pepper. Pulse to blend (the mix should be thick). Pit and roughly chop olives and stir into rest of ingredients. Form into 6 or 8 thick patties and fry, oven cook or broil to your liking. For the cashew garlic sauce, blend all ingredients until smooth and creamy, and drizzle over burgers. Instead of loading up on calories with traditional tacos filled with ground beef and melted cheese, try these lightened up tacos (which are easily as delicious) by Cookie and Kate. Cauliflower might seem like an odd choice for a taco filling but when you roast the florets they end up being perfectly crispy and a little chewy. And we could all do with adding more cauliflower to our plates. Top the lentil and cauliflower mix with fresh cilantro. I also load on the avocado, chilies and salsa verde – just like I would with any other taco recipe. Preheat oven to 425F. Toss cauliflower with 2 tablespoons oil and season. Roast for 30 to 35 minutes, tossing halfway, until the florets are deeply golden on the edges. Warm one tablespoon oil in a medium-sized pot over medium heat. Sauté onion and garlic until translucent. Add tomato paste, cumin and chili powder and sauté for another minute, stirring constantly. Add the lentils and the vegetable broth. Raise heat and bring to a gentle simmer. Cook, uncovered, for 20 to 35 minutes, until the lentils are tender and cooked through. Drain off any excess liquid, then cover and set aside. Warm tortillas and top with the lentil mixture, cauliflower, chopped cilantro and any other toppings. 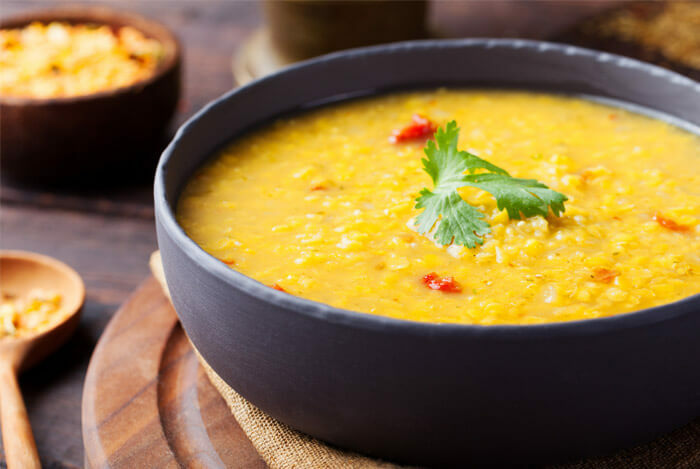 Filling and nutritious meals don’t come any easier than this dhal recipe – a traditional Indian staple made from split pulses. Lindsay at Pinch of Yum whips this up in just 15 minutes. Now that’s what I like to hear – a tasty and nutritious meal in mere minutes. 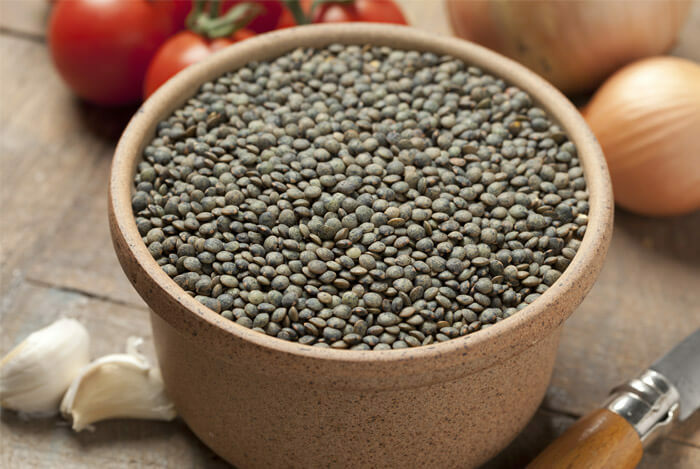 Lentils are the main ingredient, but they’re filled with flavor thanks to abundant spices and creamy coconut milk. Bring the water to a boil in a large pot. Add lentils and cook uncovered for 10 minutes. Remove from heat. This recipe by Health.com is my idea of a perfect lunch – salmon on a bed of citrusy lentils and served with a side of something green (I recommend roasted broccoli). Salmon gives you massive bang for your buck nutritionally. It’s a great source of protein and healthy omega 3 fatty acids. Since lentils are a great source of iron, I’m glad to see them being served with vitamin C rich orange zest and juice. In a 12-inch skillet, heat oil over medium-high heat. Season salmon and cook until deep golden, about 4 minutes. Turn and sear on opposite side. While salmon is cooking, stir orange zest, juice and red onion into lentils. Divide salad among four plates, top with salmon and serve. 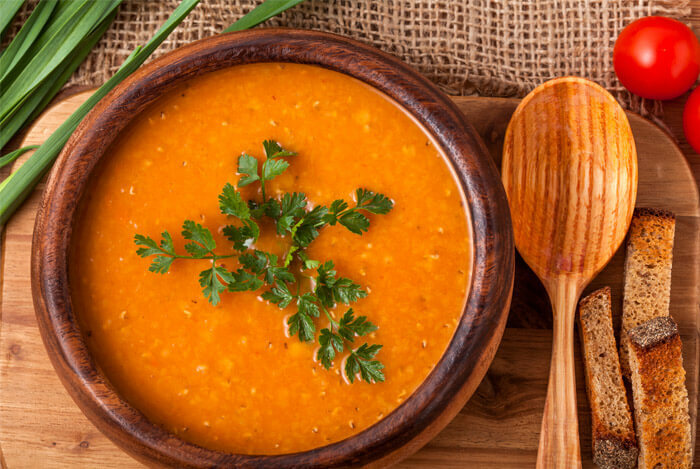 A bowl of this soup by Julia over at A Cedar Spoon will keep you going all afternoon, thanks to the hearty lentils and satiating power of the spices. Heat oil in a large pot and add the onions, carrots and celery and sauté until tender. Then add the garlic, coriander, cumin, turmeric, paprika, cinnamon, salt and pepper and continue cooking for another 2-3 minutes, stirring continuously. Add the broth, tomatoes, and lentils stir well and bring to a boil. Simmer uncovered on low for 20-25 minutes, until the lentils are tender. Stir in the lemon juice, red pepper flakes, parsley and cilantro, cover and cook for 10 minutes. This isn’t the first meatless meatloaf recipe I’ve posted on the site but, when we’re talking about lentils, I couldn’t omit this recipe, from Health is Happiness. It contains a surprising amount of veggies (well, more than you’d find in a meat-filled meatloaf at least) along with good fats and protein. The walnuts in this dish are an excellent source of omega 3 fatty acids and have even been shown to benefit those with high cholesterol. And last but not least, I have to mention the sneaky greens in this loaf – spinach. This leafy vegetable is a great source of vitamin K for bone and blood health. Make the glaze by whisking all ingredients together in a bowl. Set aside. 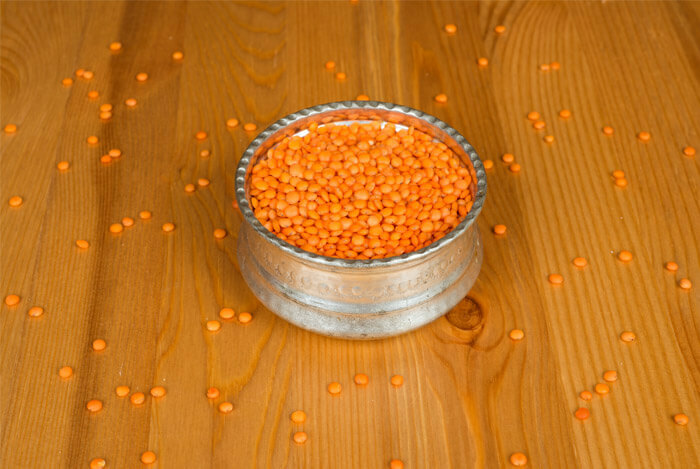 Place lentils in a pot and cover with water. Bring to a boil. Reduce heat and cook for about 40 minutes, until soft. Remove from heat and mash slightly with a fork. Whisk ground flax with 1/2 cup warm water in a small bowl and set aside. In a large skillet, heat the oil and add the onions, garlic, cumin and celery. Sauté for about 5 minutes. Then add the carrots, raisins and spinach. Sauté for another 5 minutes. Remove from heat. In a large bowl, combine all the ingredients: the lentils, toasted walnuts, veggie mix, breadcrumbs and the flax mixture. Season with salt, pepper and cayenne pepper to taste. Mix well. Press mixture into a lined or greased loaf pan. Brush the glaze on top. Bake at 350F for 35-40 minutes. Let cool for 10 minutes before slicing and serving. 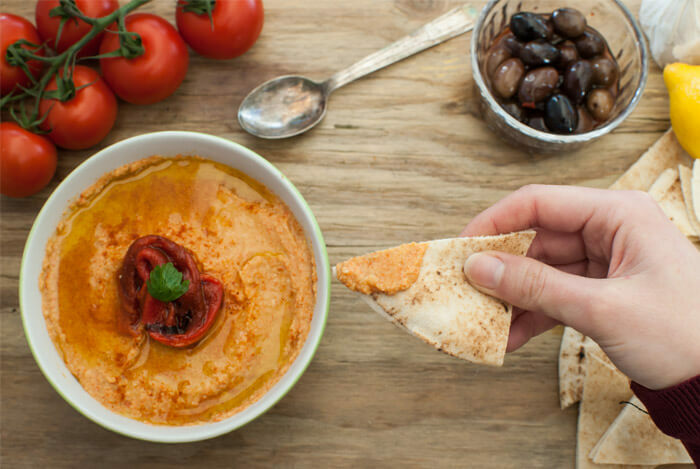 If you’re bored of plain old chickpea hummus, or are just out of chickpeas, then I’d most definitely recommend this high-protein red lentil hummus recipe by Coffee and Quinoa. Following a Mediterranean or anti-inflammatory diet plan? Good news – this recipe works for you too. It’s not just protein that this snack boasts. Thanks to the tahini (a paste made from sesame seeds), it provides plenty of calcium and copper. 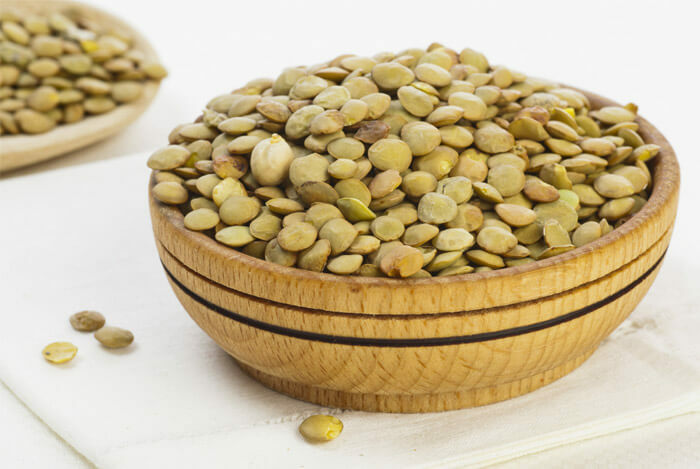 For such tiny seeds, sesames contain around 18% of your RDV of calcium per two tablespoon serving. That amount will also provide 36% of your daily copper needs – a mineral that’s vital for healthy red blood cells, nerve cells and immunity. Add this hummus to salads, or use it as a dip for cucumbers, carrots, celery, sliced bell peppers and anything else you like. 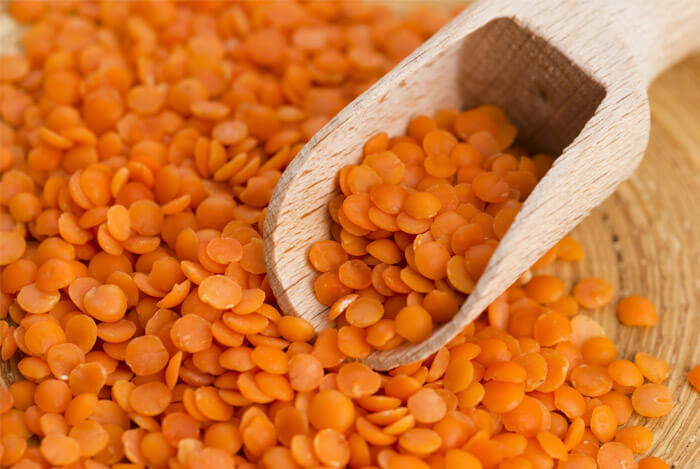 Simmer lentils with water until thoroughly cooked and beginning to get mushy, about 12 minutes. Meanwhile, in a food processor, puree tahini with lime juice, garlic, and 1/2 cup water. Add cooked lentils, chipotle chilies, paprika, cumin, and salt. Puree until smooth, adding more water as necessary. 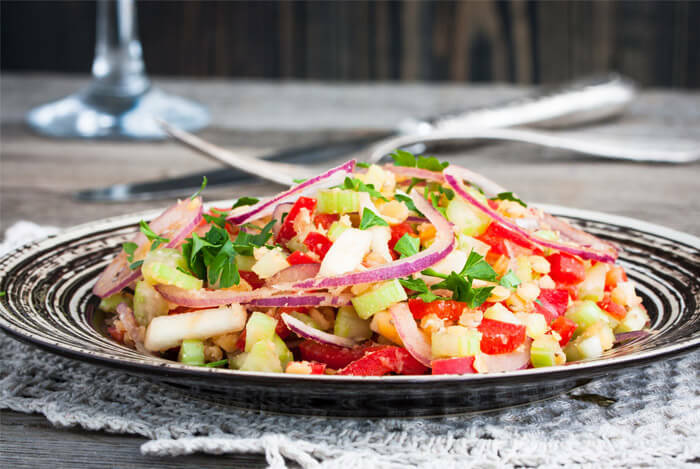 This summery French-style salad recipe I stumbled upon over at Serious Eats looks good but tastes even better. One cup of sliced fennel provides 17% of your daily vitamin C needs, 11% of dietary fiber, 10% potassium and 8% of manganese needs. 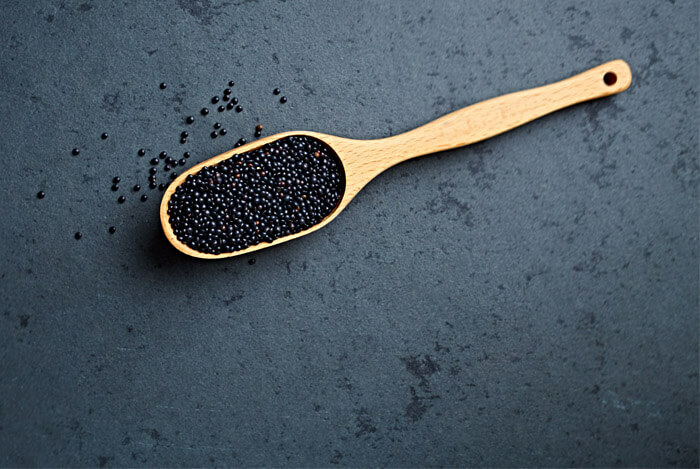 In a large bowl, whisk together the vinegar, salt, and pepper. Add in the olive oil, and whisk until emulsified. Add the water, and whisk to loosen. Add the fennel, apple, and tomatoes, toss to combine, and allow to sit in the vinaigrette for 15 minutes. Finally, add the lentils and fresh herbs, and allow to sit another 15 minutes. Serve. Who doesn’t love roasted butternut squash? It’s the perfect fall or winter vegetable in my opinion. Emma at Coconut and Berries had the genius idea to stuff it with lentils, miso, tamari and creamy almond butter for an unbelievably tasty and filling dish. Butternut squash, known as ‘the apple of God’ by American Indians, is a good source of fiber, potassium, and magnesium and also contains 457% of your daily vitamin A needs, per cup! The seeds of this squash contain monounsaturated fatty acids for a healthy ticker, and 18 amino acids. Adding a dash of miso doesn’t just add flavor but nutrients and even probiotic bacteria – essential for gut and overall health. Preheat oven to 350F. Cut butternut squash in half lengthwise and scoop out seeds and any stringy bits. Place, cut side down, on a baking sheet and bake for 45 minutes, or until tender. Remove from oven and, with a spoon, remove a little of the squash flesh to create a hollow to fill. Add the lentils, miso, tamari and 1 cup of water. Bring to a boil then reduce heat, cover and simmer for 15-25 minutes until cooked. Add the kale, nut butter and 3/4 cup water, a quarter cup at a time. Stir and simmer until the kale is cooked. Season with pepper, to taste. What’s your take on these lentil recipes? Have anything else you’d like to share? Let me know in the comments below!